dry skin cells on the outer layer of skin, leaving you smoother and fresher looking. It’s an important part of a basic skincare routine, and in my opinion the most important Waxing aftercare regime. When I wax new clients I always explain the importance of exfoliating as part of your post wax care. A bit of Rough, need I say more? 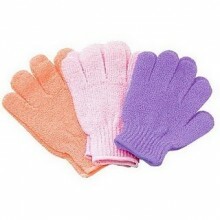 Or ‘Exfoliation Gloves’ these are gloves with a rough surface that you put on your hands and soap up. The other option is a chemical exfoliation product, which may contain fruit enzymes which are found naturally in pineapple, kiwi or papaya. Also, you could use AHA’s (alpha hydroxyl acids) or BHA’s (betahydroxy acids) – sounds scarier than it is honestly. These work by loosening the dead skin that is attached to the surface, they are great if you have oily pores and a build up on your skin; or if you regularly suffer ingrown hairs. You should exfoliate gently two to three times a week (if your skin is normal), this will encourage new skin cells and stimulate collagen. In the case of hair growth it will minimise ingrown hairs by keeping pores clear and skin soft enough for new hair to grow through. if you have sensitive or older, thinner skin don’t exfoliate more than once a week. Warmer weather increases sweat and the skin produces more oil (As Mama June describes it you may feel ‘Smexy’) so you might want to exfoliate more frequently. Use abrasive cloths or gloves by moving gently across the skin in circular motions. You should avoid hard rubbing of your skin. Any chemical exfoliant will have instructions and these should be followed, don’t be freaked out by the tingling sensation caused by BHA’s or AHA’s it will stop after 15 minutes or so. After exfoliation you should moisturise and as your skin may be more sensitive a hypoallergenic formula will be the best option. You might also want to use a higher factor sun protection. 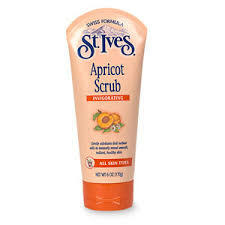 In the case of waxed skin don’t exfoliate for, at the very least, forty-eight hours after a wax. ‘Scrub Gloves’ – you can buy these easily at your wax appointment. 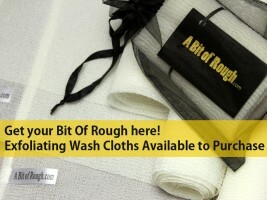 Can I use this cloth twice a day(every time I shower)?